Born in Woking in 1961 Catherine Brennand grew up in a small village in East Kent. After graduating from University College Chichester in 1983 with a degree in Art and Design she was still undecided as to either medium or subject in which to specialise. However her first job as a technical graphic artist in the construction industry awakened her interest in architecture and she rapidly developed her individual interpretation of buildings. 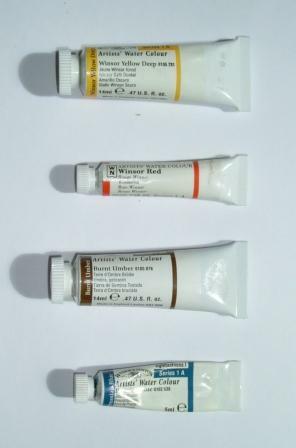 Brennand specialised in watercolour paintings using many thin washes and glazes on top of one another, producing rich colours and tones. Often wax resist and tissue collage techniques were combined with paint to add further texture and interest. Artists who influenced her work included John Piper, Graham Sutherland, Mark Rothko and Patrick Heron. She travelled widely in Europe, Israel and the USA for inspiration. In 1991 at the Annual Exhibition of the Royal Institute of Painters in Water Colours her painting “Facade Aix En Provence” won the Young Painter of the Year Award sponsored by Winsor and Newton. At the RI exhibition the following year she won the Frank Herring & Son award for the Best Painting of an Architectural Subject. Following that exhibition she was elected as a full member of the RI. Within five years she had left her job in the construction industry to paint full time. In the September 1997 edition of The Artist Catherine Brennand featured in the “Masterclass” series and one of her works was selected for the front cover. 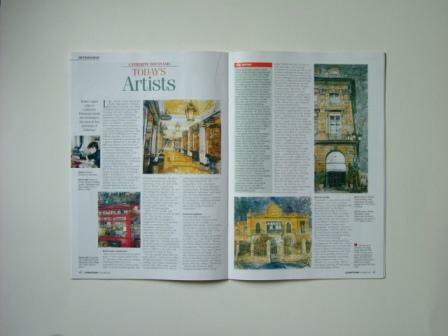 In April 2000 Brennand was again featured in Artist’s and Illustrators Magazine, this time featuring Paris shops as a subject and how she integrated collage material into her watercolour paintings. Despite undergoing a second course of chemotherapy in February 2006 Brennand held her first and only One Woman Show in Malta. Organised by the Salesians of Don Bosco and opened by the Hon. Dr Hugo Mifsud Bonnici, President Emeritus, the Private View was held over the weekend of the 17th and 18th February. Of the 40 paintings exhibited 36 were sold the remaining four going by the exhibition's end. Ten weeks later, on 1st May 2006, Catherine Brennand died of complications caused by breast cancer. She is succeeded by her husband Mark and two children, Jack and Tom. 2005 The Matt Bruce Memorial Award “for the most outstanding use of light and colour in water-colours”. Rising To The Next Level. French paintings from 1987 - 2004. Includes extracts from diaries and scrap books of the research trips. individual subject isn't necessarily a bad thing" she said. changing. A good light can make the most mundane of buildings look exciting". furnishings, jewellery and choice foods. for her. She subsequently graduated with a degree in Art and Design from University College, Chichester. she began to paint buildings. Subsequently the firm was taken over and she moved with her job to Wolverhampton. Restaurant and The New West End Synagogue in London, and the brewery Eldridge Pope & Co.
were actually white or pale grey, when she recreated them she found inspiration in the colours of the Negev Desert. from the upper storeys of buildings. "Street level is often very ordinary, so I tend to look up quite a lot". might be constructed from up to 15 thin layers of superimposed washes of colour. Sutherland, Patrick Heron and Mark Rothko. Academy in Bristol and elsewhere. died Wolverhampton 1 May 2006.